The Union Minister of External Affairs, H.E. Mr. Pranab Mukherjee meeting with the President of Russia, H.E. Mr. Dmitry A. Medvedev in New Delhi on December 05, 2008. 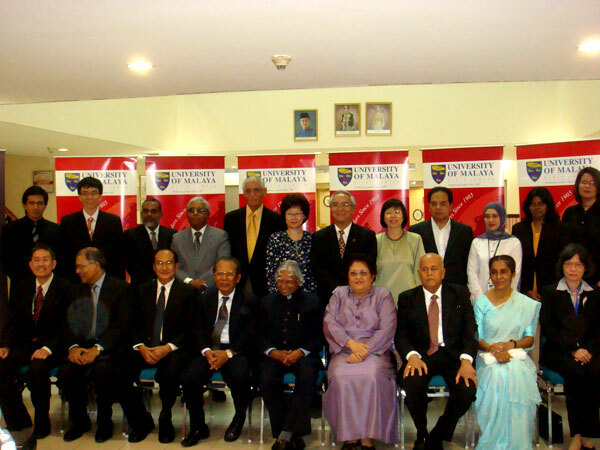 Dr. A P J Abdul Kalam with senior faculty members of the University of Malaya, including the Vice Chancellor, during his visit to Malaysia in August 2008 to deliver the 'Khazanah Global Lecture for 2008' in Kuala Lumpur.